0% for 72. Anyone get this? Same here. I got a 2018 GM Silverado WT Blackout Edition for 37K. They stacked the cash incentives and gave me 0% financing over 84 months. I wanted the lowest monthly payment but I make extra payments and put on any bonus I get from work. The icon won't show up in the phone settings but it will show up in the car. Its on the 2nd screen of the CarPlay menu in the car. It lists dealer info but pretty useless. Just had to pay for the cost of putting the starter in, which here is $350cad. Not cheap but still significantly less than other starters that can work with the phone. Mine looks completely different. How do I find out the version? And I did not see a shop app there. Do 2018 Silverados have newer mylink? Hey everyone, I just wanted to share some news with everyone. I bought a 2018 Silverado WT a month ago and it didn't come with the car starter but I wanted one put in. I also wanted it to be compatible with OnStar, but the guys at our two local dealerships didn't know if this was possible. Turns out it is. OnStar will add the programming of an added starter to their services so the truck can be started through their app as well. Thanks a lot for all the help. I think I will try and do this DIY route. I’m thinking about ordering the cheapest wireless charger with 3 coils and charging, take it apart and put it between the rubber mat and plastic base. I have the jump seat. This would be perfect. I’m not too shabby at DIY. So you happen to have the part # of the lid with wireless charging? I have a central console with a phone holder. There are also 2 USB ports and 1 cigarette lighter in the console as well. I don’t know if an OEM solution exists but it seems like I should be able to glue a 3-coil charger part under the plastic that the matt sits on and then plug it into one of the two USB ports? Anyone know the maximum distance between a wireless charging coil and the back of the phone? Has anyone done this successful on the 2018 Silverado? I have the WT and it didn't come with wireless charging. 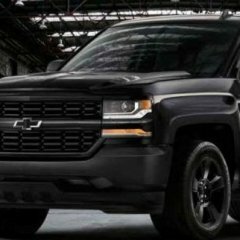 Would the 2018 Module (or kit) for other GM cars work on the Silverado? Just looked at the smartstart plans and they're a bit cheaper than OnStar. I think it works out to $15/month for OnStar and $10/month for StartSmart. The dealership is waiting for a customer who they just did a remote start install on. Same situation as mine, 2018 Silverado with the remote starter installed after the fact. He is supposed to be phoning into OnStar today or tomorrow to see about adding the starter to his plan and making it available on the app. If it works, I'm getting mine done. It's my first black vehicle and you are 100% right. I think it's time I start looking at wax or any type of coating that will keep the rain drops away a bit longer. Man that is perfect! I'm going down to the dealership with this information immediately. Thank you! I believe you but is there a way to get this confirmed? I'm definitely taking a screenshot of this and taking it into the dealership, the guys there are friendly but I don't think they've worked there long enough to know all the details of this installation process.